We are qualified and reliable locksmiths and are available 24 hours a day, 7 days a week, wherever you're based in Dorset. We cover the Bridport area and surrouding towns and villages, but also travel to other Dorset locations. We will be able to get to your house or business -wherever you are - and help with whatever locksmithing problem you have! We operate in and around the friendly old Dorset market town of Bridport, offering a full 24 hours a day, 7 days a week service and we will NEVER charge you a call out fee. Our quick response locksmiths aim to be at your home or business in the Bridport area within 30 minutes. So, if you're locked out, having problems with your locks, or need advice or help with anything to do with locks or security, just give us a call. When you call you will speak to our locksmith directly - there are no call centres involved. We are registered as an independent locksmith and are NOT part of a franchise or national company. With no middleman involved, we keep our prices to a minimum. So if you need a fully qualified Bridport locksmith with great levels of service at reasonable rates, ring Smart Lock Solutions now on 07551 713484. For your peace of mind, we are fully CRB checked. or click here if you'd like to read more testimonials from our many satisfied customers! 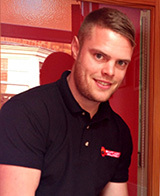 James was recommended to me by one of my neighbours, who had used James' services before at a very reasonable price. I was very satisfied with the work he did on my house - he fitted a brand new lock on my front door and I also got him to change a few window handles while he was there. I was very happy with the work he did on my door and windows. I highly recommend his service. We moved down here from London to retire. 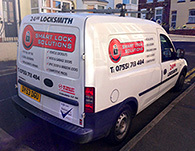 I called Smart Lock Solutions to change our locks as he is a locksmith local to the area of Lyme Regis. When James came out he replaced the locks and also fixed the back door as it had dropped and wasn't closing properly. Very happy with James' service. I wanted to get some extra security put on my garage. James came out and fitted a set of high security garage bolts which are very simple to use and also make my garage a lot more secure. Very professional service. Will definitely recommend James and his services. I was locked out of my property and found the Smart Lock Solutions website on my phone. I saw he was a local locksmith so called him out to help me. He was with me in under half an hour, and got me in my house in seconds. He definitely knew what he was doing. Thanks James!